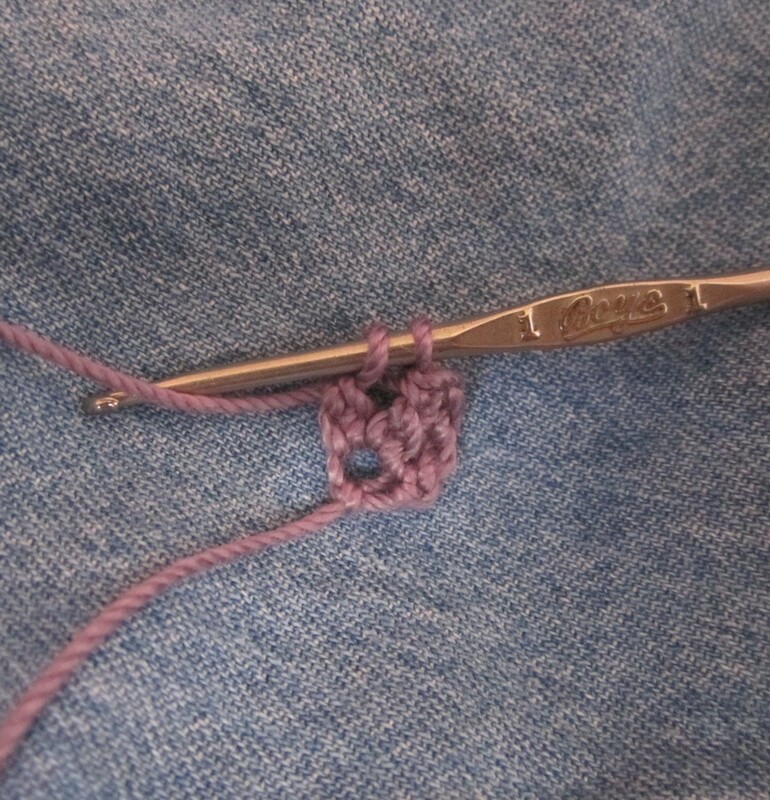 This is such a clever way to start crochet projects without making a foundation chain. It doesn't work for all projects but many projects especially afghans it does. One of the biggest reasons that I gave up making afghans is the starting chain. Sometimes more than 200 chains to just get started and then a few extra just in case you miss counted. Then I found the chainless start in a 19th century book and I'm so happy I sat down and learned this trick. 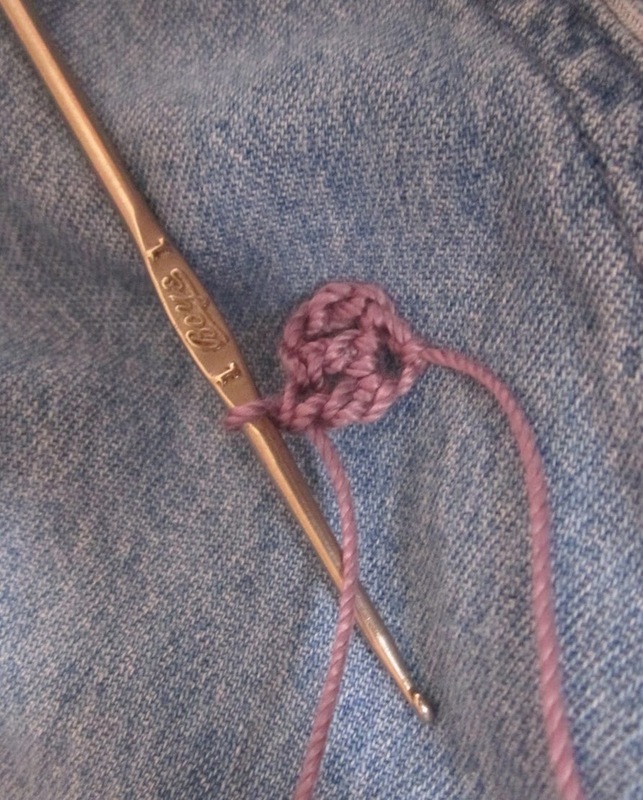 The tutorial is for making a row 1 of double crochets. 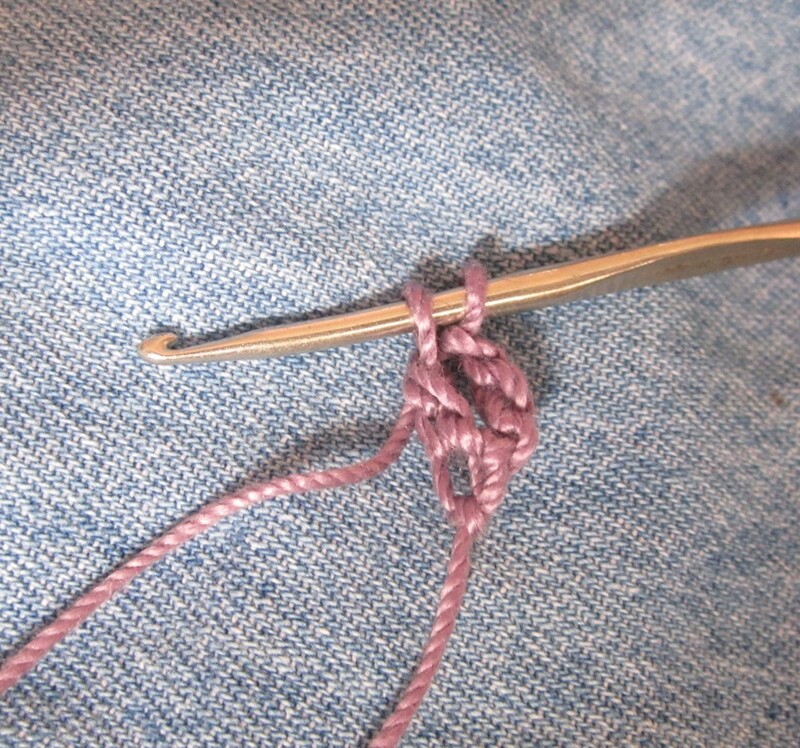 Step 1: Make a slip knot and tighten it around the hook. 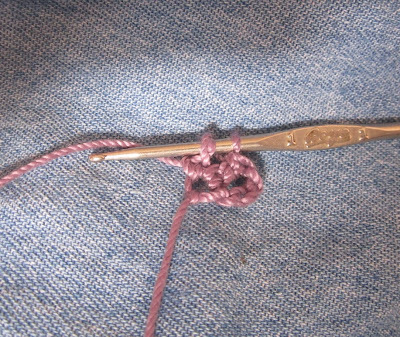 Step 2: Chain 4, the first chain loop takes the place of the chain start and the three make up the first double crochet. Step 3: Yarn over insert hook in fourth chain from hook. Yarn over and pull through, there will be three loops on the hook. 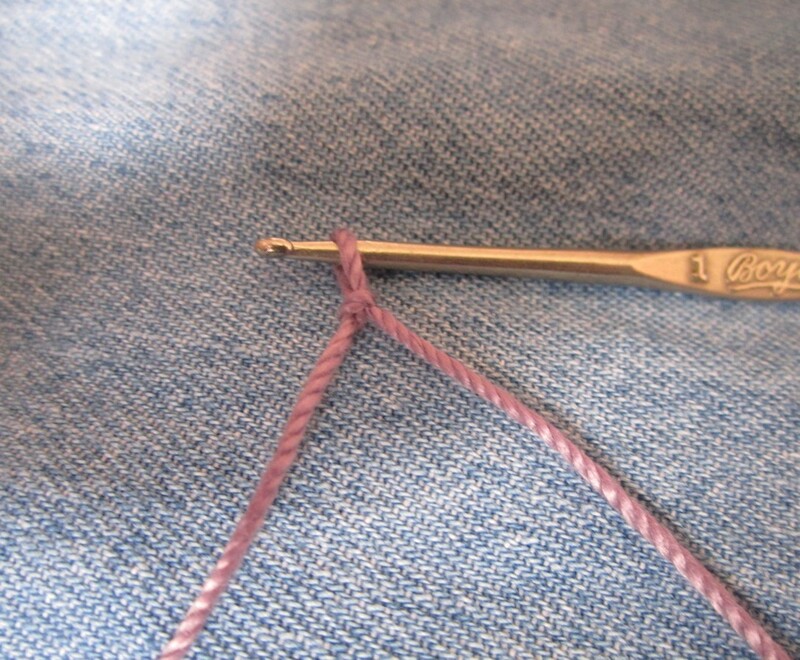 Step 4: Yarn over and pull through 1 loop, 3 loops will be on the hook. 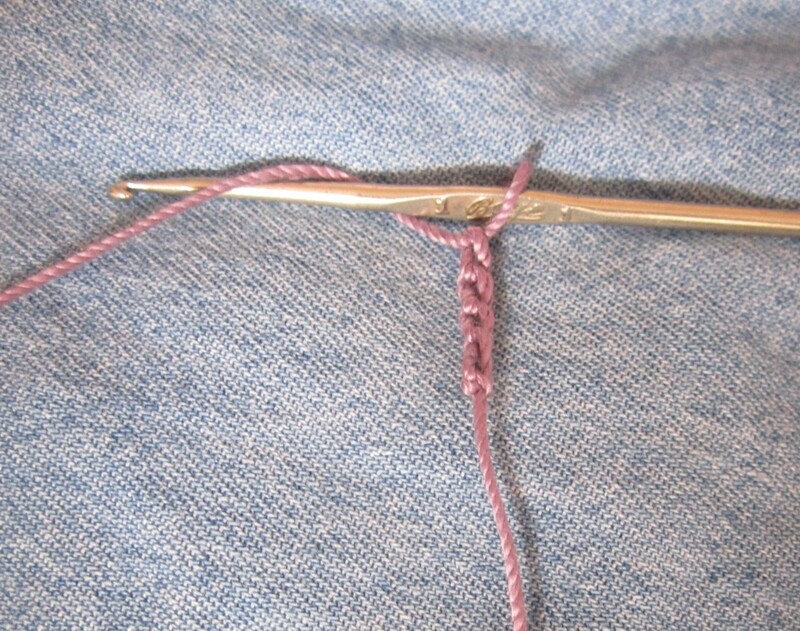 The loop you just pulled through becomes the foundation chain for the next stitch. Step 5: Yarn over and pull through 2 loops, 2 loops remain. 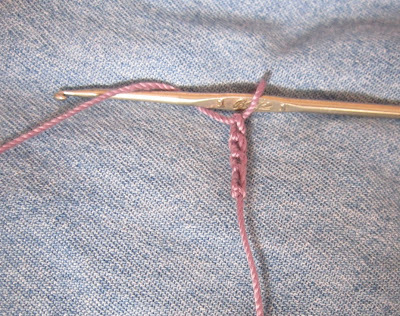 Step 6: Yarn over and pull through 2 loops, stitch is now completed. Step 1: Yarn over and place hook in the bottom of the last stitch. In the picture you will see that I left the chain stitch loose so it was more visible. Yarn over and pull the loop through, 3 loops on hook. 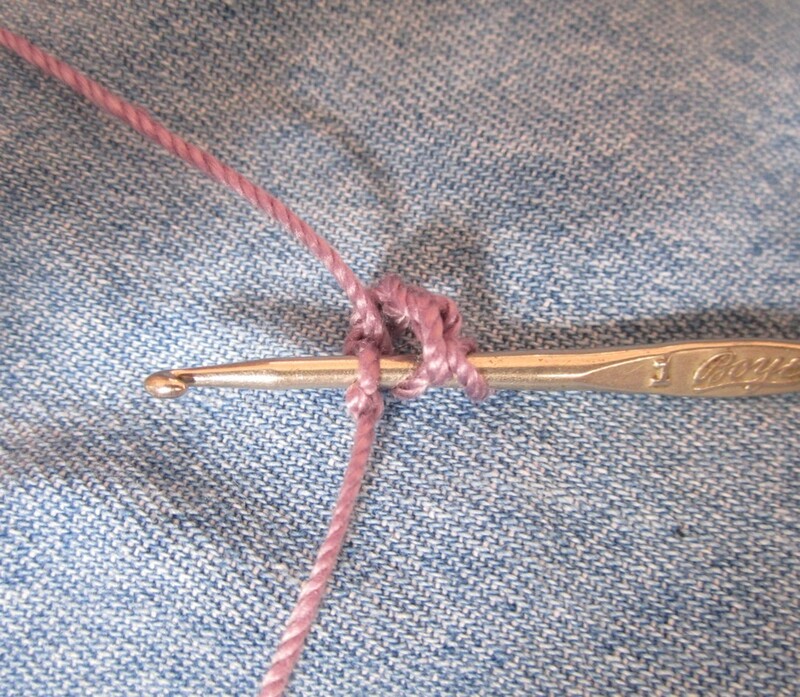 Step 2: Yarn over and the pull thread through 1 loop, 3 loops on hook. This is making the foundation chain for the next stitch. 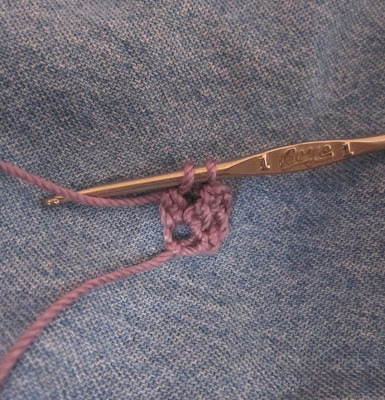 You can think of this as making the original starting chain while crocheting the stitch. Step 3: Yarn over and pull through 2 loops, 2 loops remaining. 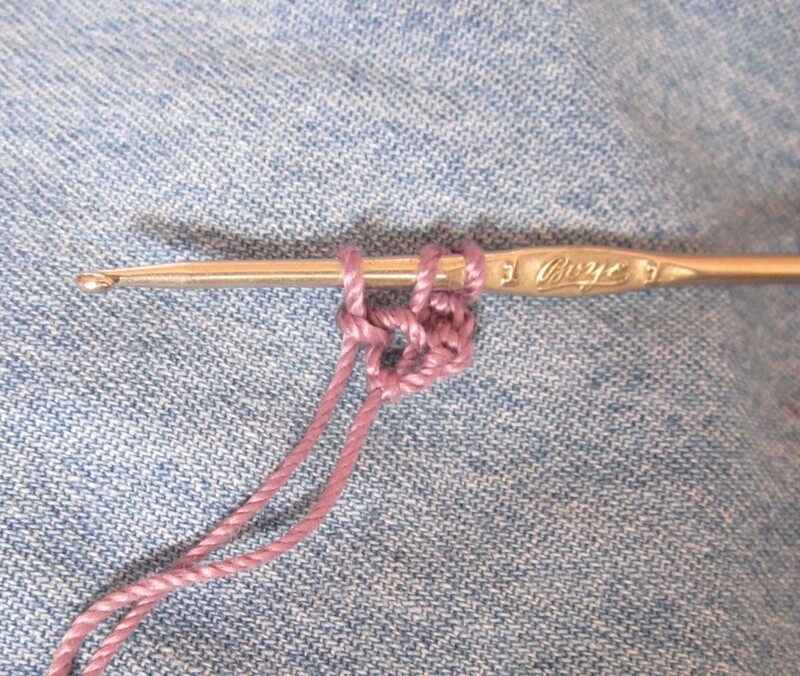 Step 4: Yarn over and pull though 2 loops, 1 loop on hook. 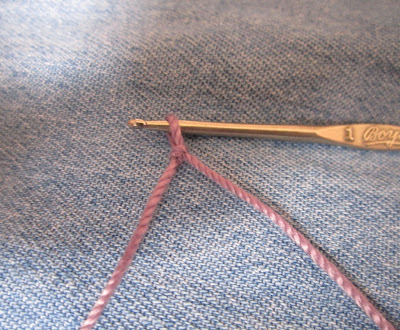 Step 5: Repeat the second set of steps 1 through 4 until you have the correct number of stitches for your pattern. Need chain spaces? It is easy. Step 1: Chain number of chains in pattern This example will use 1 chain space. 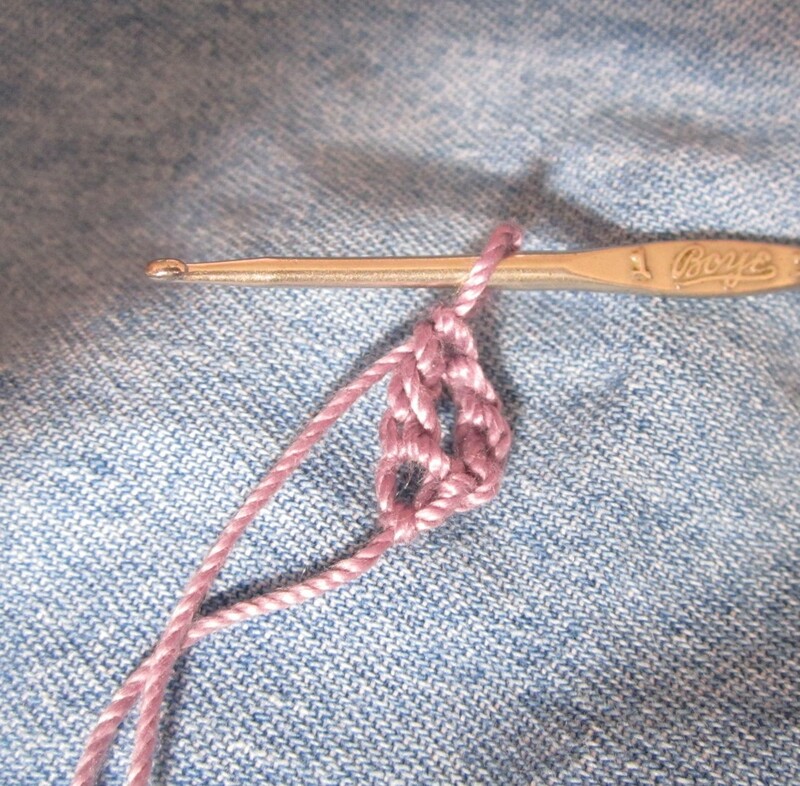 Step 2: Yarn over and place hook in the bottom of the last stitch. 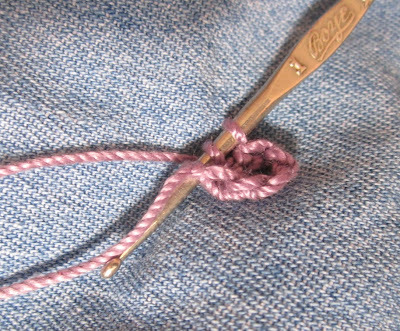 Yarn over and pull the loop through, 3 loops on hook. Step 3: Now yarn over and pull through as many times as need for chain spaces in pattern. In this example we will use 1 extra space. Yarn over and the pull thread through 1 loop, yarn over and pull through 1 loop again creating a chain one space and the foundation space for the next stitch. Step 4: Yarn over and pull through 2 loops, 2 loops remaining. 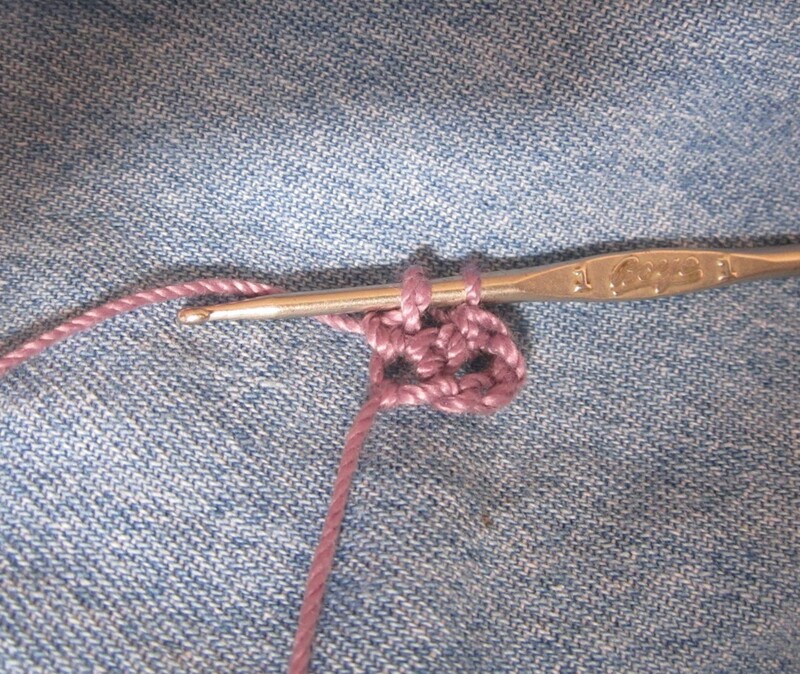 Step 4: Yarn over and pull though 2 loops, 1 loop remaining. I hope that these instructions are clear enough and someone finds it helpful.